Pastor Keith Maddy of Heritage Baptist Church was able to accompany Dr. Waldron and bring the pastors excellent literature that has been translated into Spanish, including Dr. Waldron’s Exposition of the 1689, as well as the systematic theologies of Luis Berkhof, Charles Hodge, and Wayne Grudem. 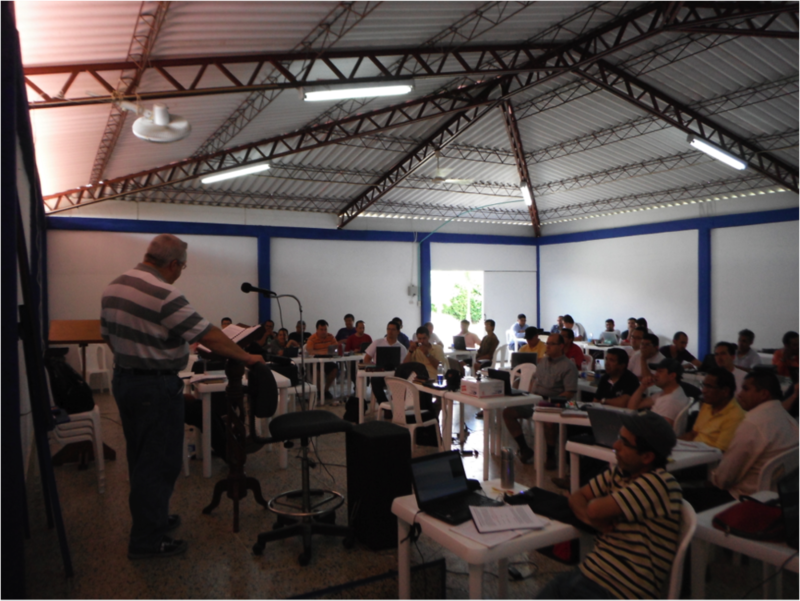 Moreover, Keith brought a flash drive with several PDF files of theological lecture notes and solid Reformed literature in Spanish used by the ministerial academy in Santiago, Dominican Republic. Needless to say, the Colombian pastors were extremely grateful. Another benefit of these modules is the fellowship and camaraderie cultivated among the students during the modules. The men come from different locations and, as noted, different theological backgrounds. They room together during the week, discuss the topics they’re learning, and pray together. We hope these bonds of friendship will further contribute to theological and ecclesiastical reformation among the Colombian pastors and churches represented. Once again, Reformed Baptist Seminary would like to thank Pastors Guillermo Gomez and Jorge Castañeda, who are the onsite Colombian pastors that promote, organize, and oversee the modules. Moreover, we’d like to thank Grace Baptist Church of Papillion, Nebraska, for financially supporting the first three of the planned 14 modules. A few other churches have also expressed a willingness to sponsor one or more modules for which we praise God. And thanks to all of you who prayed for this module! We’re still trying to raise about $2,500 per module for the remaining modules that need sponsorship. These donations, along with the funds paid by the students, covers the rental of the conference facilities, travel, food, lodging, and materials. If you or your church would like to sponsor one or more, please contact Pastor Robert Briggs who is the chairman of RBS International. You can email Pastor Briggs at rbriggs@immanuelbc.net or call him at (916) 444-6185.